The West African Examinations Council has approved sanctions in all cases of examination malpractices. 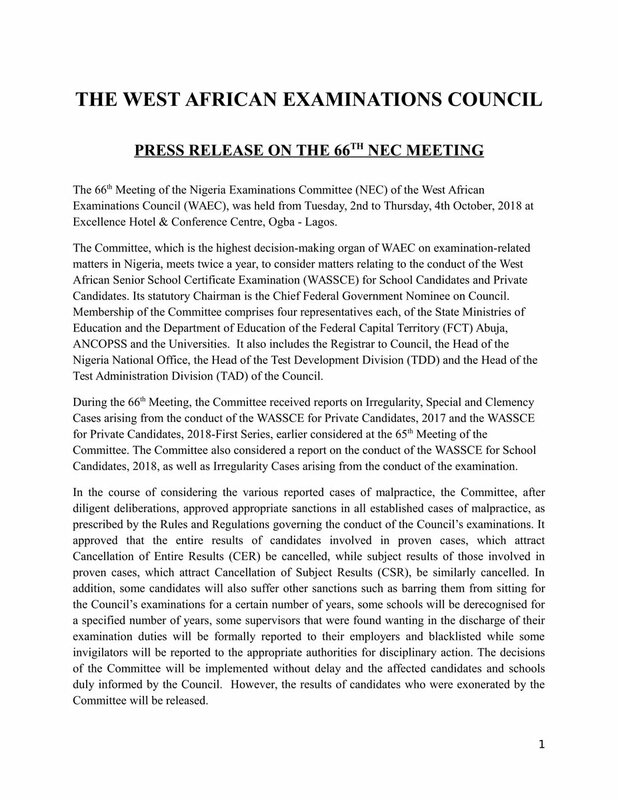 The Nigeria Examination Committee of WAEC during its 66th Meeting in Lagos revealed that henceforth, candidates who flout the rules and regulations guiding the conduct of the council’s examinations will bear the consequences. The NEC also revealed that it will start sanctioning some candidates by banning them from sitting for the council’s examinations for a specific number of years. Schools involved in proven cases of exam malpractices will also be derecognised for a certain number of years. Examination supervisors found wanting will be reported to their employers and blacklisted, while invigilators involved in exam malpractices will face disciplinary measures. 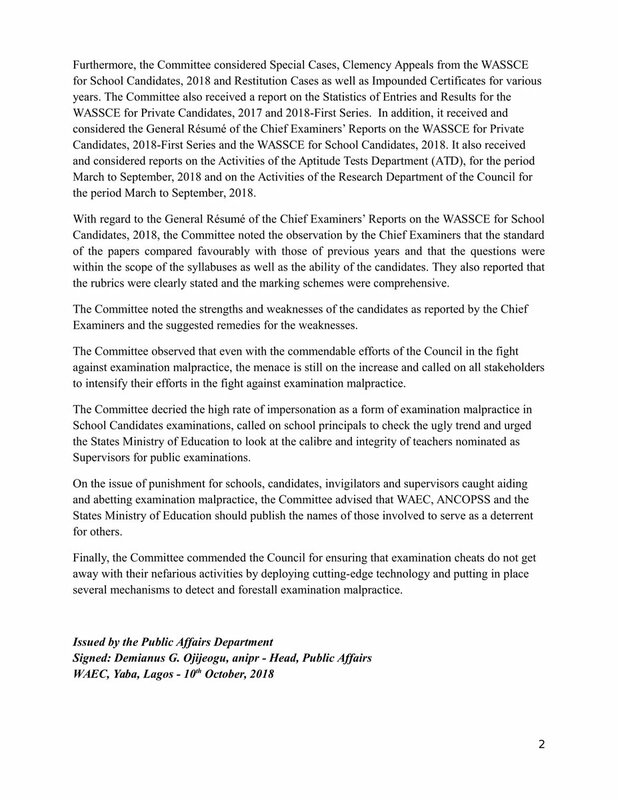 NEC went on to advise WAEC, All Nigeria Confederation of Principals of Secondary Schools and States Ministry of Education to publish names of those involved in examination malpractices to serve as a deterrent to others.